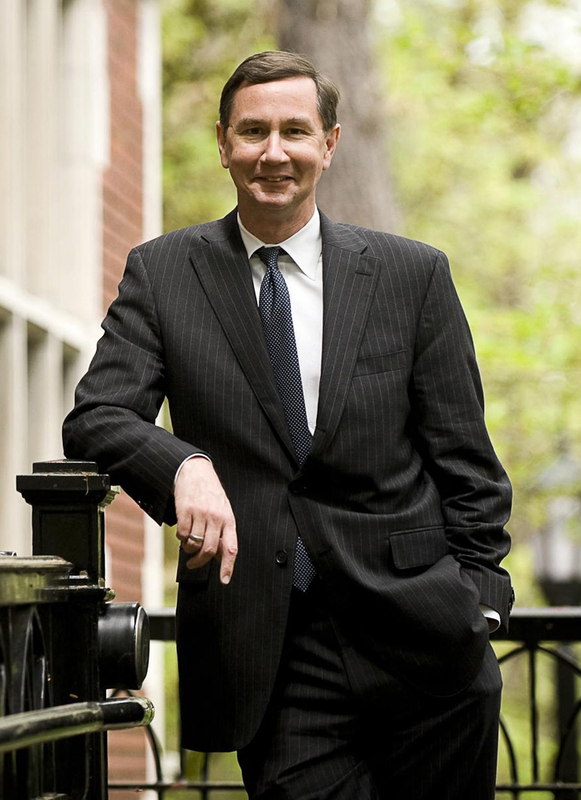 John R. Kroger will spend the 2018-2019 academic year as a Visiting Professor at Harvard Law School. Professor Kroger will also serve as Hauser Leader in Residence at the Kennedy School of Government and a Fellow of the Safra Center for Ethics. John has had a long and distinguished career in education and public service as a United States Marine, federal prosecutor, law professor, Oregon Attorney General, and college president. John comes to Harvard from Reed College, where he served as President from 2012 to 2018. During John’s tenure, Reed increased admission applications by over 100%, improved faculty, staff, and student diversity, reformed the introductory science and humanities curriculum, and added new majors in computer science, neuroscience, dance, comparative literature, and race and ethnic studies. Before his presidency at Reed, John was elected to serve as Attorney General of Oregon after winning the nominations of both the Democratic and Republican parties. As Attorney General, John argued Premo v. Moore, 562 U.S. 115 (2011) and Camreta v. Greene, 563 U.S. 692 (2011) before the United States Supreme Court, created new units to protect civil rights and prosecute environmental crimes, and chaired the state’s Alcohol and Drug Policy Commission. John served as an Assistant United States Attorney from 1997 to 2002 and the Justice Department’s Enron Task Force from 2003-2003. John was lead counsel in more than 200 federal criminal cases involving racketeering, violent crimes, narcotics trafficking, public corruption, and white collar offenses. His major cases included United States v. Persico (boss of organized crime family convicted of racketeering); United States v. Scarpa (capo in organized crime family convicted of racketeering and conspiracy to commit murder after five-week jury trial); and United States v. Rodriguez (manager of international narcotics ring convicted of shipping over one ton of cocaine from Mexico to New York after five-week jury trial). John assisted with the criminal investigations of the Enron financial collapse, the September 11, 2001 terrorist attack, and crash of American Airlines Flight 587. John’s book Convictions, about his career prosecuting the mafia and Enron, was published by Farrar, Straus and Giroux and received the Oregon Book Award. John was a Truman Scholar and received the Justice Department’s Director’s Award for Superior Performance as an Assistant United States Attorney and awards for his teaching from Harvard and Lewis and Clark Law School. In his free time, John has bicycled across the United States and hiked 100 miles alone through the Scottish Highlands. John is married to Michele Toppe, Associate Vice President and Dean of Student Life at Portland State University. There are no results to display. Search Again?